Sharing borders with Cambodia, China, Myanmar and Thailand, the Lao People’s Democratic Republic (Lao PDR) is steeped in history and rich in culture. Sixty percent of the nation’s 6.8 million inhabitants are from the Lao ethnic group and are predominantly Theravada Buddhist. 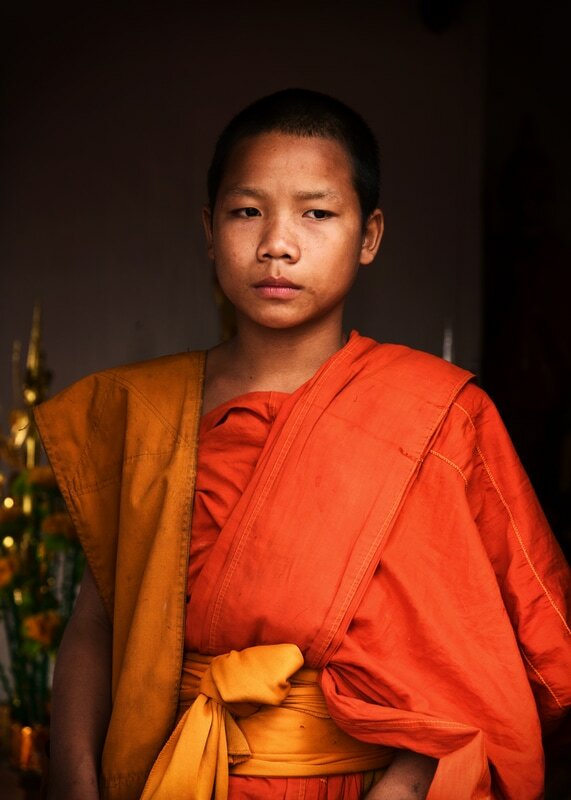 Lao people practice centuries-old traditions in which Buddhism plays an important role. The remaining forty percent of the population is composed of at least 149 different ethnic groups, many of which have their own unique language, traditions and culture. 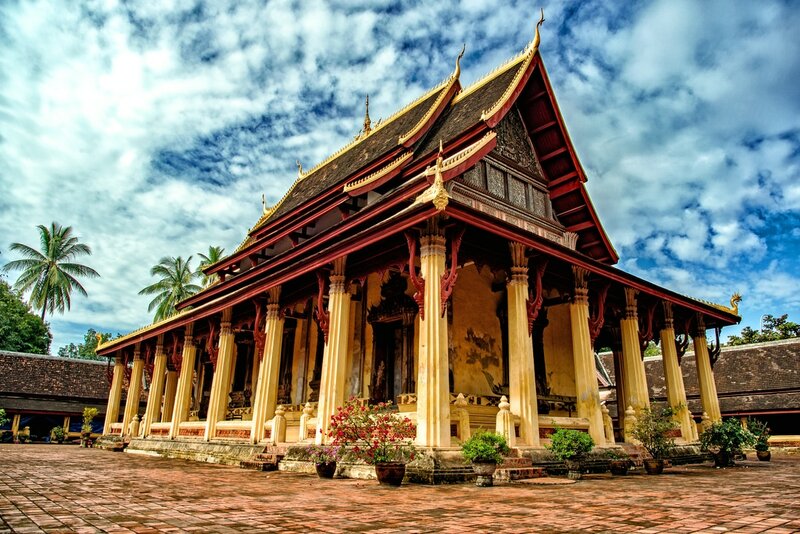 ​One of Laos’ best known destinations is the small town of Luang Prabang. First listed as a UNESCO World Heritage Site in 1995, this historic city was once the royal capital of an ancient kingdom known as Lane Xang or “The Kingdom of a Million Elephants”. Lane Xang, which existed from 1354 to 1707 AD, was one of the largest and most powerful kingdoms in Southeast Asia. Luang Prabang would later become the capital of The Kingdom of Laos until the conclusion of the Laotian civil war in December 1975. Today’s visitors are drawn to the town due to its historic significance and unique mixture of French colonial and Asian architecture. The well-preserved “Old Town” area, Luang Prabang’s tourism epicenter, is surrounded by dozens of Buddhist monasteries. Each morning well over one hundred barefoot saffron-robed Buddhist monks parade through town collecting alms. This centuries-old tradition has become a bit of a tourist attraction with many visitors waking at dawn to view and photograph the ceremony. Exploring extraordinary temples and observing Buddhist ceremonies is only one activity that draws visitors to the former “Kingdom of a Million Elephants”. 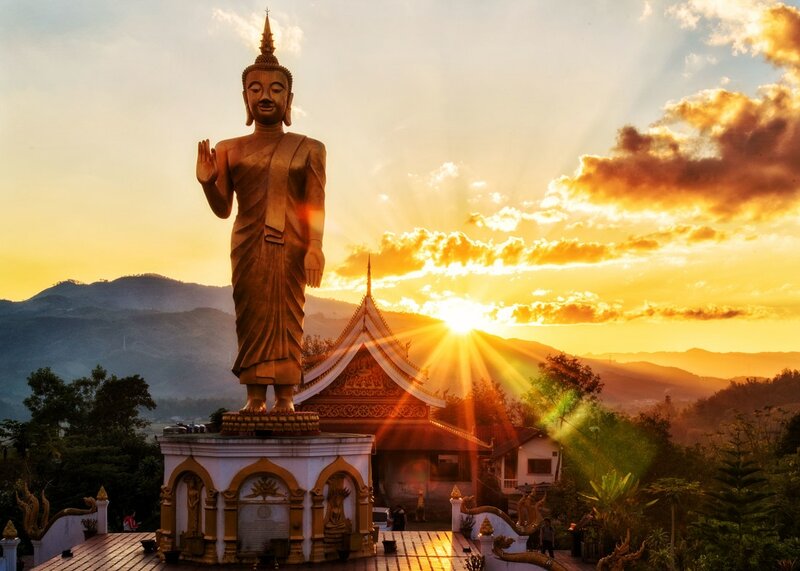 Laos has beautiful and diverse natural scenery which includes the famous Mekong River, hills, karst mountains, valleys, plains, rain-forests and waterfalls. A partial list of activities that visitors participate in includes trekking, mountain biking, elephant riding, visiting museums, taking cooking classes, rock climbing, caving, zip lining, tubing and kayaking. Devastated by over two decades of civil war, the Lao government first opened its borders to Western tourists in 1988. However, it took another decade to attract a sizable number of travelers and make any significant economic impact on the tiny nation. Finally, in the year 2000, tourism became Laos’ number one source of foreign income. Between 2000 and 2006 the number of travelers arriving in Laos increased tremendously and in 2015 4.6 million tourists visited the country. 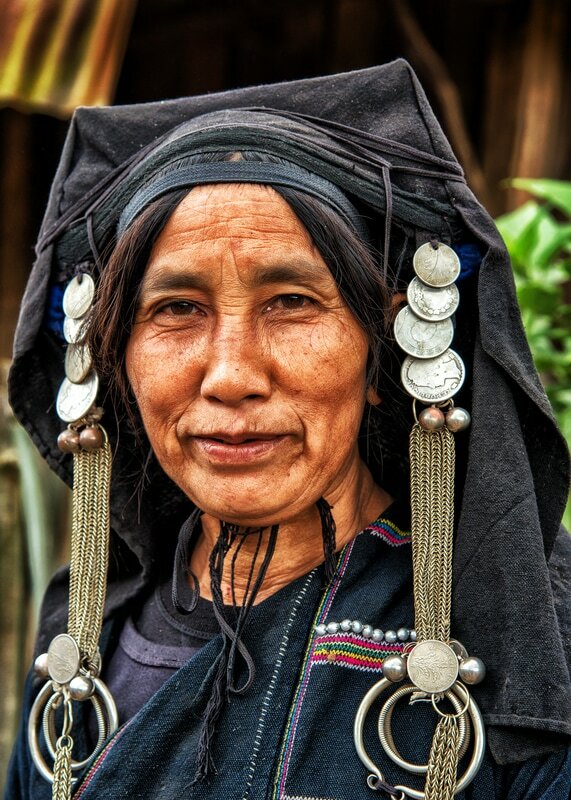 The Lao people are warm, friendly and genuinely welcoming to foreign visitors. Independent travelers will find that Laos is easy and economical to tour. With international airports in the capital city of Vientiane (VTE), Luang Prabang (LPQ) Pakse (PKZ) and Savannakhet (ZVK) Laos can easily be reached by air from many Southeast Asian hub cities and capitals such as Bangkok, Ho Chi Minh City, Hanoi, Kuala Lumpur, Phnom Penh, Siem Reap and Singapore. Outside of Southeast Asia flights are available from, Seoul, Haikou and Kunming, China. The country can also be reached overland from Cambodia, China, Thailand and Vietnam. Currently (Jan. 2017) western travelers are allowed to pass through only one Cambodian and one Chinese border check points. Traveling overland is easiest through Thailand (eight border crossing points) and Vietnam (six border crossing points). An easy and very inexpensive option to reach Laos’ capital city of Vientiane from Thailand is to take a train on the Northern Railway Line. Purchase a ticket to the Thai city of Nong Khai and simply walk across the border. On the Laos side of the border tuk-tuks are readily available for the remaining 20-minute journey to Vientiane’s tourism hub for around 200 Thai Baht or $6 USD. Overnight busses also make the 11-hour trip between Bangkok and Vientiane for approximately 900 Thai Baht. ​With the exception of nationals from Japan and ASEAN countries, all visitors to the country are required to obtain tourist visas. Tourists for most nations can acquire a visa on arrival at any of the country’s international airports and 13 land border crossing points (Jan 2017). Receiving a visa on arrival is quick, easy and costs $30 to $42 USD (depending on the passport holder’s nationality) for a thirty-day visa. The visa can be further extended up to sixty more days at the Department of Immigration in Vientiane. With the completed application, visitors will need to provide immigration officials with one passport-sized photograph and US dollars which are in good condition. We recommend only bringing dollars into Laos which are new and in pristine condition. This is particularly true for 100 dollar bills which are often closely scrutinized before being accepted. With its discount domestic airlines, and modern highways, Laos is very easy and affordable to travel around. Budget travelers and backpackers will appreciate the fact that most of the country’s most popular destinations can be reached inexpensively by bus or van. The main tourism hot spots will all have travel agencies with English-speaking staff who can organize plane, bus tickets and tours for a very modest fee. In the past few years Laos has made significant improvements to its highway system. Bus travel in the country is generally safe and comfortable. There are numerous bus companies operating in the country, some of which cater more towards tourists and travel to and from the country’s most popular destinations. Bus travel is a vital transportation method for locals as well and even some of the country’s smallest towns are on bus or van routes. Often crowded and uncomfortable, local buses are inexpensive and a great way to meet and interact with local people. Tickets can be purchased at the bus station or from travel agencies. In popular tourist areas most guest houses and hotels will arrange bus tickets. Usually they add a small fee to the regular ticket price which includes transportation to the bus station. Laos is still very much a developing nation and currently there is no passenger train service in the country.